Yes, I know. It’s hard for type-A personalities to let go of control. You worked hard to get where you’re at and you know your business better than anyone. Why should you hand over the reins to someone else? Well, chances are you do have some weaknesses. Or, perhaps you’re running yourself ragged and burning the midnight oil. The truth is, your business can’t sustain growth without some outside help. How much is your time worth? Do you really want to spend several hours a week managing your inbox, calendar and trying to get your content promoted? By delegating those tasks, you give yourself more time to focus on expanding your vision. Virtual assistants are an ideal solution for enabling you to get your life back on track. 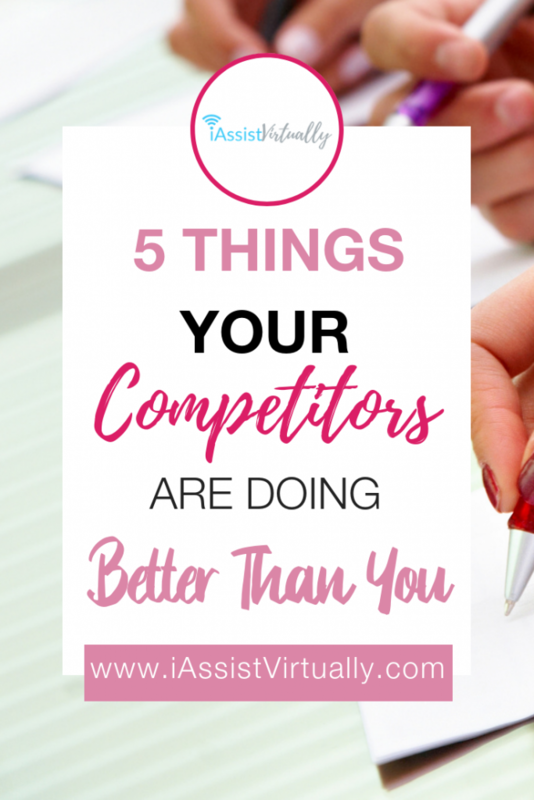 I’d be willing to bet your biggest competitors are outsourcing as much as possible, from social media management to content creation, blog posting and scheduling, researching, and bookkeeping. Every successful leader knows that getting bogged down by the little things prevents reaching the long-term goal. Where do you want your business to be 10 years from now? Have you thought about it? You’ve probably set goals for the next year and hopefully are taking steps to achieve them, but what about the long-term plan? Executives who think big get big results. A year is a good time frame to schedule dates for your goals, but taking a day to imagine the possibilities for your business is a key component for foreseeing potential roadblocks that could be avoided with a little strategic thinking. The companies that have staying power, are led by visionaries with grandiose plans. If you set the bar extremely high, even your failures will be better than most people’s successes. I don’t mean putting your business on hold, but if you don’t take some time off to relax, you may end up with burnout. Not only will you suffer, but your company will also suffer the fallout as well. (Unless of course you’re a rockstar delegator and have someone to pick up the slack!) The point is, you need downtime to stay on top of your game. Vacations and time away from work will recharge your batteries and give you ideas to come back strong. Don’t wait for a health crisis to force you to slow down. Build it into your schedule ahead of time and for crying out loud, get enough sleep! It’s NOT overrated! What market could you be tapping into with little to no extra effort? What new service could you provide that your current customers need? Create extra products and services that compliment your existing array of offerings. Not only will your customers be grateful, but they’ll also come to you instead of your competitor because you provide more value for their time. Expanding is a superior opportunity for all parties involved if you bundle your services and/or products and sell at a discounted price. This goes along nicely with delegating, but it would benefit you to find a mastermind group or mentor who is aligned with your zeal, vision, and values. Sometimes it takes someone who’s “been there” to provide perspective, offer advice and encourage you. Great entrepreneurs don’t succeed without surrounding themselves with people who believe in them. You won’t either, so think about who it is that inspires you or who has paved the way in your industry. What is it about them that you admire? Give them a call, invite them to dinner (pick up the tab) and ask if you can pick their brain. If no one is nearby, reach out to someone via email and ask if they’d mind skyping with you for 30 minutes. 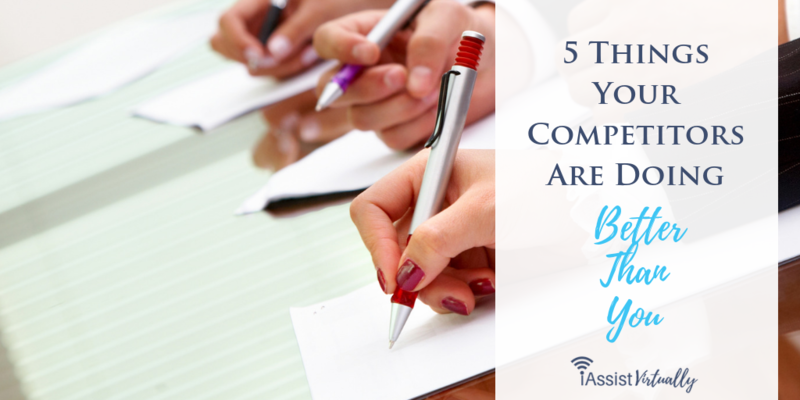 Prepare your questions in advance and ask if they’d be willing to touch base with you every few weeks or months. As time goes on, you’ll have different issues and questions to discuss. Make sure you thank them for their time and insight because most people are more than willing to talk about what they’ve learned if they know they’re appreciated (and if the listener will implement their suggestions)! These 5 steps will help you gain the leading edge over your competitors and improve your overall life as well. Anyone, not just business owners, can benefit by implementing these tips on a regular basis.